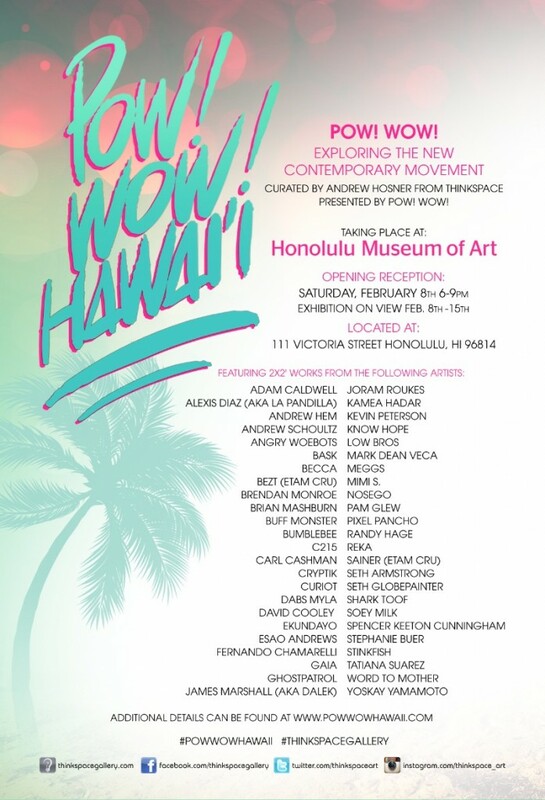 Last year we talked about the amazing movement that is POW WOW HAWAII. This year it’s back, it’s bigger and now our very own Thinkspace Gallery is part of the collaboration. If you’re feeling like a little escape filled with some food for the soul, jump on the next plane to Hawaii for this incredible event, Aloha.